The are many stories about unfaithful women. For instance in my hometown in France, during Middle Age, unfaithful women were put into a cage and submerged into the river. If the woman was still alive after 10 minutes it meant that she was faithful. The Prayer for Unfaithful Women is an art performance about women who consorted with German soldiers during world war II. They were humiliated and had their head shaved in public on the main square. 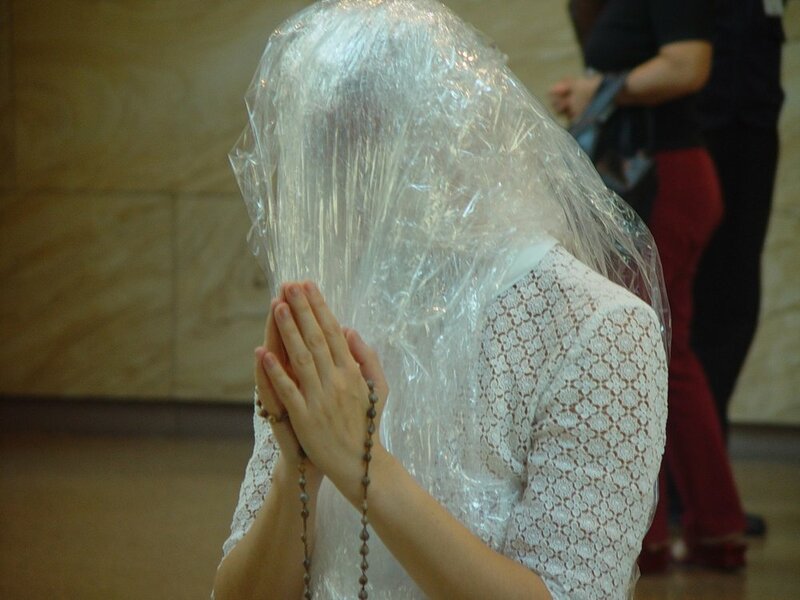 This art performance is a visual denunciation of the rage under the guise of an angelic prayer. It is about French memory. We carry with us from our history.